When it come's to buying gifts for Birthday's and that I find that it can be a real struggle to find the perfect gift, especially when there's so much on the market. 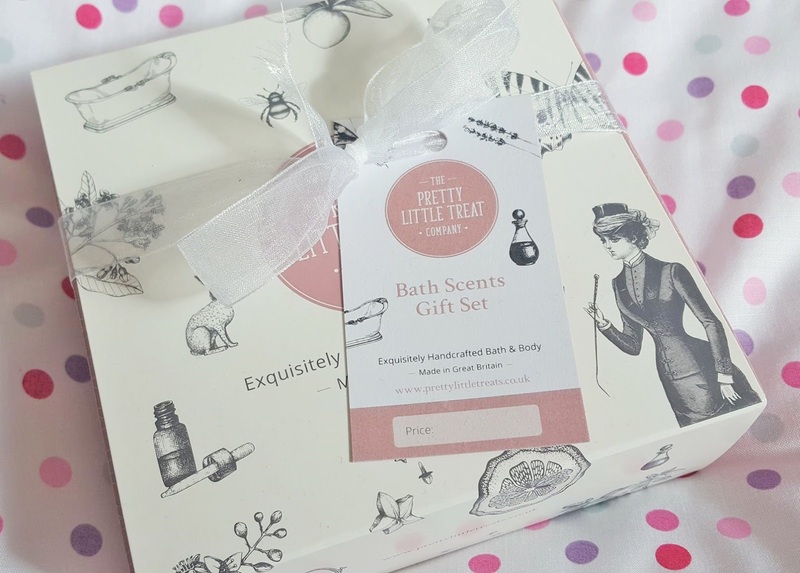 With Mother's Day around the corner (26th of March for us UK peeps) it can be a difficult decision to choose what to buy when so many companies offer amazing gifts and such a wide variety of gifts too. 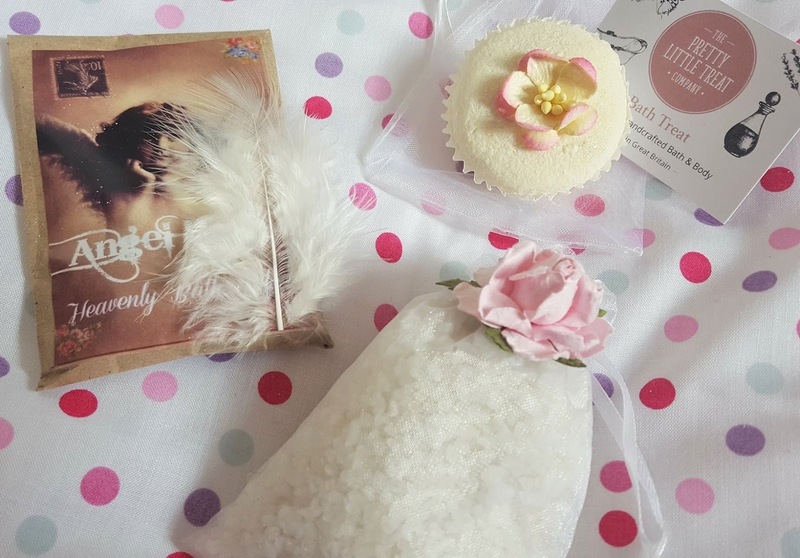 A great and rather safe gift to buy is anything that is going to offer a pamper and some relaxation and that's where The Pretty Little Treat Company comes in. 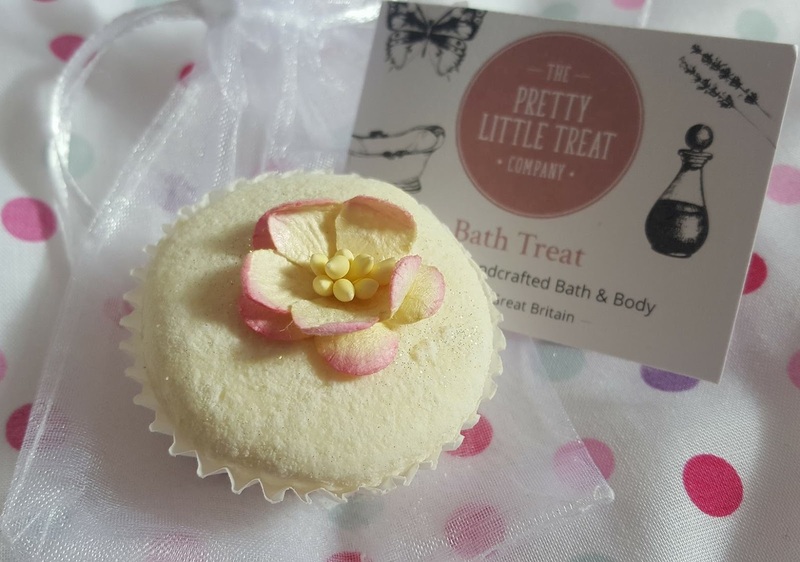 The Pretty Little Treat Company offer a range of different gift sets that offer handcrafted bath and body products. 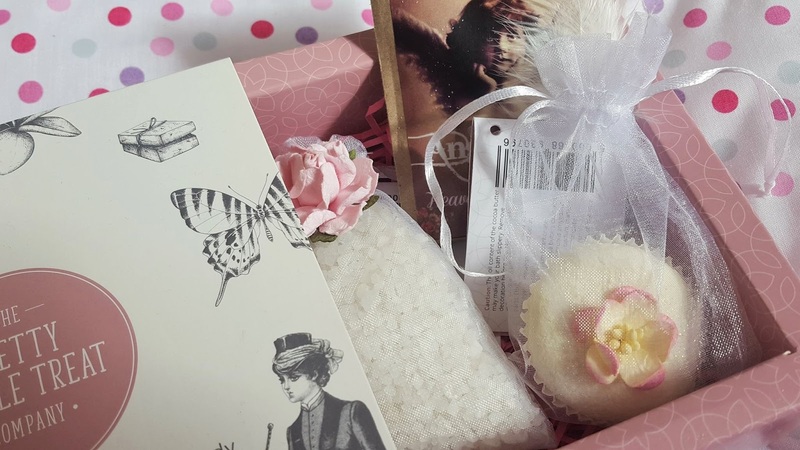 You can create a gift set suited to yourself or the receiver depending on who you're buying for or you can purchase the ready-made sets. I kindly got sent the Bath Scents Gift Set which comes with a bath treat, bath crystals and some angel bath milk. These are really great value for money and start from only £9.95. I've not had chance to use the products inside yet, but I'll be sure to test and review them in another blog post real soon. This particular gift set smells like rose - I'm not usually a rose scented gal but this isn't overpowering at all. I think these sets are really pretty and I love the vintage packaging among each product and the packaging it's self, very old school! Remember to check back for my test review on the products included in this set real soon. In the mean time you can buy various products and gift sets over on PLT here.